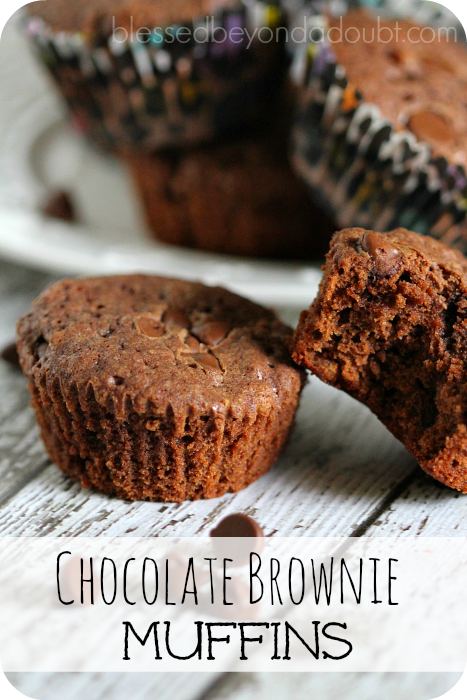 How to Make the Best Chocolate Brownie Muffins! Oh my! How to Make the Best Chocolate Brownie Muffins! Let’s just say, I blew it this week on my low carb eating plan. I made these delightful chocolate brownie muffins and all my kids left to go their dad’s and camp before they were finished baking in the oven. I was left all alone with these babies. It wasn’t easy, but I managed. So beware, don’t expect to just eat one and be satisfied. They are awesome! I love the brownie taste, but more of a muffin texture. It’s simply wonderful with a glass of milk. Mix the butter and cocoa together in a small bowl and microwave for about 1 minute or until melted. Remove and cool. In medium bowl, mix the sugar, eggs, and vanilla. Next, add butter mixture, flout, cinnamon and nuts to the mixture. Mix well until blended. Grease muffin cups or line with paper cupcake liners and fill 2/3 full of batter. Place several chocolate chips on top of muffins. Bake at 350° for 20-22 minutes. Indulge. They are awesome warm! Be sure to try our Granola and Cocount Muffins, too! 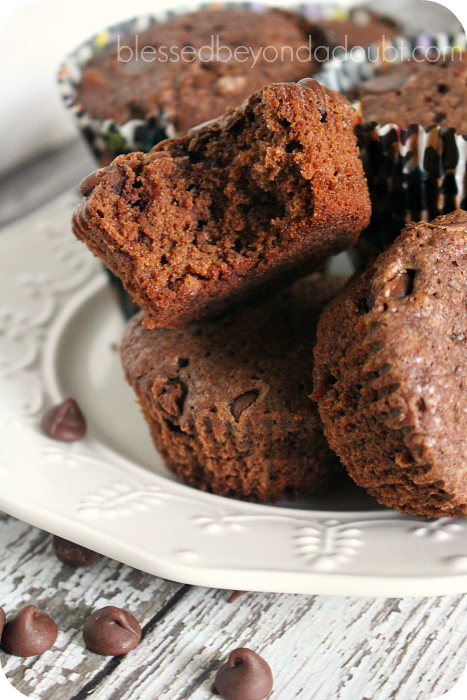 Please come back and let us know if you were able to just eat two of these chocolate brownie muffins.